People woke on Nov 22 with no idea of the anguish that would play out that day. Abraham Zapruder had woken disappointed that weather was cloudy and overcast. JFK was going to be doing one of his motorcade parades through Dallas and he had wanted to film the parade. He had bought the top of the line Model 414 PD Bell & Howell Zoomatic Director Series Camera, Serial number AS13486; with Varamat 9 to 27mm F1.8 lens the year before. For its day it was quite a piece of technology with an electric eye, spring wind indicator, and varying speeds of 1, 16 and 48. The camera used double 8mm film with 25 feet being able to be shot at a time. Abraham Zapruder worked at his Jennifer Juniors, Inc. which made women’s clothing. 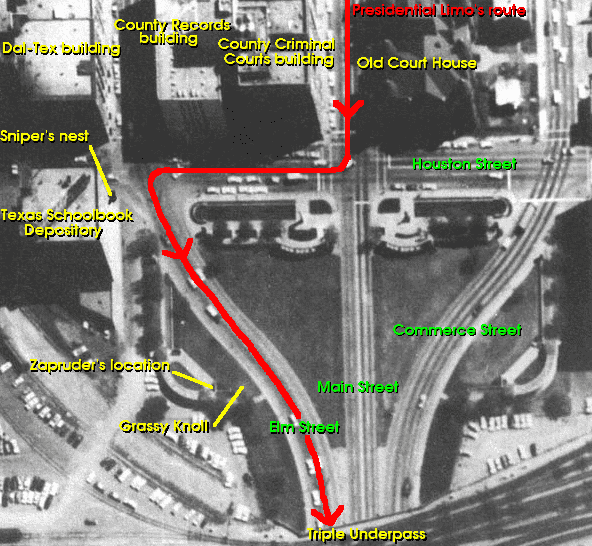 In 1963 the company operated out of 4th and 5th floors of the Dal-Tex Building at 501 Elm close to where the president’s motorcade was to pass that day. He arrived without his camera but an office worker, Lilian Rodgers, convinced him to go back home and get it because the weather had cleared up and it looked to be a beautiful day. To get a better view of the passing President, Abraham Zapruder headed down to the parade route with another one of his employee’s, Marilyn Sitzman. He shot some footage to make sure the camera was working properly and noticed that he would have a better vantage point if he got on top of a concrete block located on the now infamous grassy knoll. Once up Zapruder’s vertigo kicked in and he asked Marilyn to come with him in case he started to get dizzy while filming. While waiting for the president to come he and Marilyn are photographed by a number of journalists and amateur cameramen also waiting for the president. I started shooting–when the motorcade started coming in, I believe I started and wanted to get it coming in from Houston Street… Well, as the car came in line almost–I believe it was almost in line. I was standing up [on the concrete block] and I was shooting through a telephoto lens, which is a zoom lens and … I heard the first shot and I saw the President lean over and grab himself like this [Zapruder holds his left chest area]… For a moment I thought it was, you know, like you say, “Oh, he got me,” … I [didn’t] believe the President is going to make jokes like this, but before I had a chance to organize my mind, I heard a second shot and then I saw his head opened up and the blood and everything came out and I started–I can hardly talk about it [Zapruder breaks down crying] … I thought I heard two [shots], it could be three because to my estimation I thought he was hit on the second–I really don’t know. … I never even heard a third shot … after the second shot … I started yelling, “They killed him, they killed him,” and I just felt that somebody had ganged up on him and I was still shooting the pictures until he got under the underpass–I don’t even know how I did it. Harry McCormick, Dallas Morning News reporter, arrived soon after the shooting and after talking to those milling around quickly determined that because of his location Zapruder would have filmed the whole thing from a great vantage point. 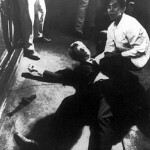 McCormick tracked him down and tried to talk to him but Zapruder said that he would only talk to federal investigators. McCormick knowing the scoop he would have if he could get the footage, set off to find an agent so that he would be able to pitch buying the film from Zapruder again. McCormack was able to make contact with Agent-in-Charge of the Dallas Secret Service field office, Forrest Sorrels. An emotional Zapruder quickly agreed to supply agent Sorrels with a copy of his footage to help the investigation but got a promise from Sorrels that it only be used for investigation purposes and not shown to any media. McCormick again offered to pay for the footage but Zapruder turned him down already thinking that he could get a higher price. Then McCormick, Sorrels, Zapruder, and Erwin Schwartz, Zapruder’s business partner went to the ABC affiliate, WFAA-TV station in hopes they could develop and copy the film. WFAA-TV couldn’t process the film and missed probably the scoop of the century but was able to get Zapruder to do a live on-air interview about what he saw at 2:10 pm less than 2 hours after the shooting. Bert Schipp, chief photographer at WFAA-TV, called a Kodak lab and made sure they could process Zapruder’s film. By this time a Dallas police car had been arranged and it escorted the trio of Zapruder, Schwartz, and Sorrels to the Kodak lab. Phil Chamberlain a lab technician met them on their arrival and they quickly processed the film, with Zapruder looking on. The original was labeled with the number 0183 by lab tech Kathryn Kirby. Zapruder and staff viewed it once and seeing the importance of the footage decided not view it again until copies where made. --Dan Rather commenting on Kennedy's head but failing to mention the famous backward motion. Since the Kodak lab didn’t have means to copy the film Zapruder was directed to go to Jamieson Films in Dallas. There he made three unprocessed copies and returned to the Kodak Lab to get them developed. The copies were given lab ID numbers 0185, 0186 and 0187. The footage was only 26 seconds long, with 486 individual frames, filmed at 18.3 frames per second. The original was split into 8mm and viewed by Zapruder, and a number of lab technicians present. They watched in silence with a collective gasp when the bullet struck Kennedy’s head. Agent Sorrels had left earlier when he heard that Oswald had been arrested but Zapruder was able to track him down around 10:00 pm and handed over two copies of the film. Secret Service Agent Max Phillips in Dallas shipped one of the copies to Secret Service Chief Rowley in Washington, D.C. with the note, “Mr. Zapruder is in custody of the ‘master’ film.” The other is handed over to the FBI who also ships it to Washington to be copied. Earlier in the day, Richard Stolley from LIFE magazine had arrived from LA. He was on a plane as soon as he heard of the attempt on the president’s life. Setting up at the Adolphus Hotel in Dallas he learns from LIFE stringer reporter, Patsy Swank, that footage of the assassination exists and was in Zapruder’s possession. Stolley immediately started calling the Zapruder house in 15min intervals. After handing over the two copies to the secret service at around 10:00 pm Zapruder drives around aimlessly trying to absorb the day’s events and arrived home at 11:00 pm. It was at this time Richard Stolley called and tried to set up a viewing of the film. Zapruder, tired, was able to put off the viewing until the next day and set up a 9:00 am meeting at his Jennifer Juniors office. Richard Stolley arrived an hour early and was joined by a number of Secret Service agents who wanted to see the film as their copies were shipped off to Washington to be copied. With Zapruder manning the projector the small crowd watch the film, replaying it as more reporters arrive. Stolley seeing that he had to work fast before others got the film was able to convince Zapruder to sell the print rights for $50,000. Stolley left with the original and quickly sends it to Chicago where the LIFE editorial staff was gathered to prepare the new November 26th edition. The original edition was stopped in the presses when news of the assassination reached Chicago. Managing editor George Hunt ordered the move costing LIFE almost a million dollars. Publisher Henry Luce who was initially outraged at the cost said later it was the best million he had ever spent. While making copies of the film and preparing black and white shots for the new LIFE magazine photo technicians damaged some of the frames the original footage, slicing it in two places. This stoked the conspiracy researchers, as C.D. Jackson was a former member of the US military intelligence. Many claim the Zapruder film to be altered in some way to cover up evidence of other shooters and the President’s limo stopping. They point to strange anomalies in the footage and that LIFE tried for such a long time to stop anyone from viewing the footage. However, Zapruder’s film wasn’t the only shoot of the assassination, with at least seven others present at the time filming. The two other publicly released films confirm the events of Nov 22 and that the anomalies can easily be explained by film limitation of the camera’s available in the 60’s. Even though LIFE executives tried to stop the public from seeing the film they themselves ordered copies for private showings. Stolley returned to Zapruder and was able to purchase all rights for the footage for $150,000 to be made in six annual payments of $25,000. The first $25,000 payment Zapruder donated to the family of murdered Dallas Policeman J.D. Tippit. 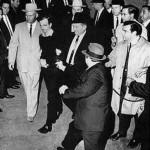 Oswald had shot Tippit just prior to being arrested. Zapruder gave the impression to the media that the $25,000 was the price LIFE magazine bought his footage for and not just the first installment. In government circles, copies of the film circulated often copies of copies sometimes many generations old. When the Warren Commission studied the film the next year they had difficulties with the quality and clarity of the prints. In Feb 1964, LIFE lab assistant Herbert Orth brought the original film to a meeting of government officials and volunteered to make slides of all the frames. The original was sent out to a New Jersey photo lab where photo lab technician Robert Groden made a bootleg copy. He also was able to remove the amateur shakiness of the original by re-framing it. This improved version was far superior to the copies the government held but he placed it in a bank vault out of fear he would be arrested for making a bootleg copy. After the Warren Commission finished its report, footage and slides were entered into the National archives. Requests to get LIFE to release footage by private researchers and other media outlets are denied. It wasn’t until 1969 that Jim Garrison subpoenaed LIFE for his trial of Clay Shaw (later made famous in the movie, JFK) that the public saw the movie. Lax security at the trial allowed the film to be copied and bootleg’s started to circulate around the country. At the same trial Zapruder is called to testify, the next year on Aug 30, 1970, Abraham Zapruder died of carcinoma in Dallas. In 1975 Groden started to show his enhanced version of the Zapruder film. In March 1975 Geraldo Rivera on his show Goodnight America convinced ABC executives to show Groden’s film. This was the first time most in America have seen the backward motion of Kennedy’s head and it caused a sensation. Feeding off the public outcry congressman Thomas Downing and others introduce a resolution in Congress that would later led to the creation of the House Select Committee on Assassinations, HSCA. 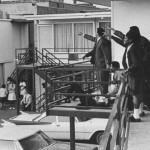 The committee went on to investigate the assassinations of JFK and Martin Luther King, Jr concluding that both murders were the result of a conspiracy. 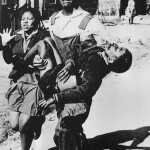 The increased publicity of the film and public outcry at LIFE for refusing to allow anyone to view the originals forced TIME-LIFE to sell the film and rights to the footage to the family for the symbolic amount of $1. The original and other material that TIME-LIFE owns is handed over to the National Archives with limited access. The family allowed anyone to study the film but if it was used for commercial purposes they are charged a fee. 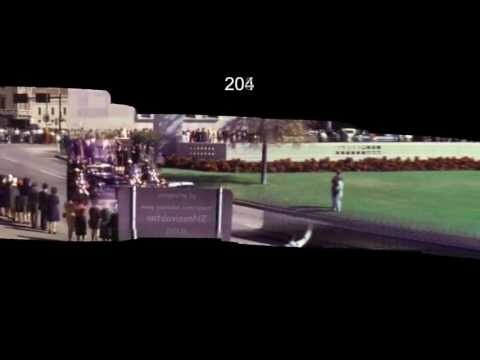 Disputes between the Zapruder family and those wanting to use the footage increase with several lawsuits being filled. The pressure was increased when lawsuits arguing that because of the importance of the footage, a national treasure, that no one should own the rights. In 1991, the Zapruder family tried to sell video copies of the footage. This was quickly halted by legal action. In 1997, the film footage and related slides, copies, transparencies are made “assassination documents” under the JFK Act. Disagreement over how much the Zapruder family is to be paid for the material dragged on until 2000. The government valued the material, as worth 1.4 million dollars but the family wanted $30,000,000. Finally, in 1999 an arbitration board ruled the value to be $16 million dollars. 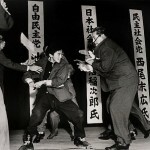 This does not include the copyright of the film, which is retained by the family, which they use to distribute a DVD called Image of an assassination. The DVD costs $20 a copy and is 45min film long. 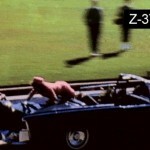 Image of an assassination claims to be, “A New Look at the Zapruder Film” and offers more information and a highly improved version of the footage. 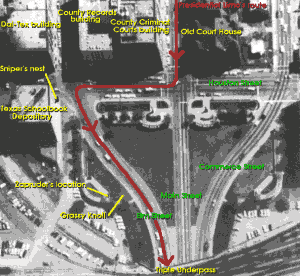 In 2000 the Zapruder family donated their collection of Zapruder film material to the Sixth Floor Museum in what used to be the Texas School Book Depository building. 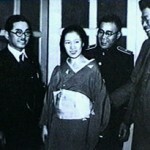 In addition to the following material the family also handed over the film rights to the Museum. Two complete sets of 4×5 color transparencies–these are LIFE 1st generation copies of each frame of the original film as they existed in 1963/1964 before any fading and damage appeared. 8×10 glossy color prints of Zapruder film frames—these are LIFE prints of each frame. Again, they show each frame as they existed in 1963/1964 before any fading and damage appeared. The original is still owned by the American government and presently in the Kennedy Collection at the National Archives at College Park. 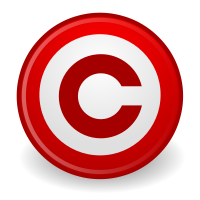 The National Archives allows copies to be made for personal use but to publish in any other way requires permission from the copyright holders, the Sixth Floor Museum. 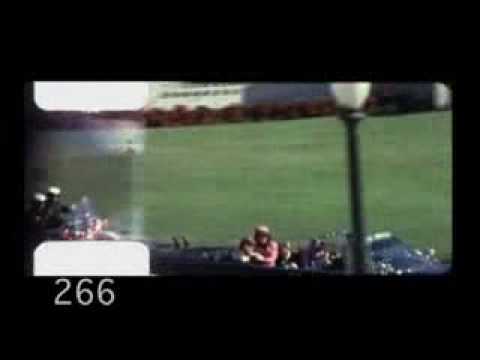 ZAPRUDER FILMED MOORMAN SHOOTING JFK IN THE HEAD…. 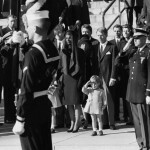 BUT MOORMAN HAS 1 PHOTO MISSING FROM HER GUN/CAMERA, THE SPLIT SEC BEFORE JFK HIT FRAME … MOORMAN GUN CAMERA PHOTOGRAPHED ZAPRUDER SHOOTING JFK IN THE HEAD ALSO… zapruder and moorman film each other SHOOTING JFK IN THE HEAD…MOORMAN REAR SKULL , ZAPRUDER SIDE TEMPLE OF SKULL. 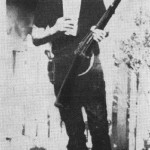 ZAPRUDERS not the only assassin , AT LEAST 7 others ATTEMPTED TO KILL JFK AND HAD PROOF OF TRYING… ZAPRUDERS GOT TECHNICAL KILL.. 175ooo…. NO PROOF OSWALD SHOT TIPPET… JFK DIES AND ZAPRUDER COLLECTS, TIPPET DIES AND WIFE COLLECTS..from zapruder .. tippets wife is so grieved she marries DALLAS POLICE LIETENANT with in 3 yrs…. MARIE KILLED HER HUSBAND ,RUSSIAN BLACK WIDOW, GETS PAID AND MOVES ONTO BIGGER BETTER DEAL… ZAPRUDERS LINKED TO 2 CRIMES….. handles cash for 2 deaths….